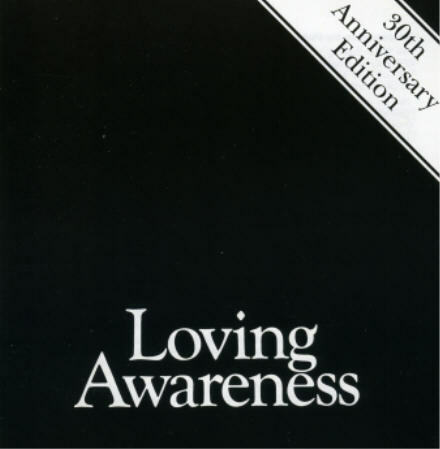 In 2005 the legendary Loving Awareness LP of 1975 finally appeared on CD. The original LP only sold a few thousand copies in the couple of years before punk music pushed prog rock even further underground than it already was. 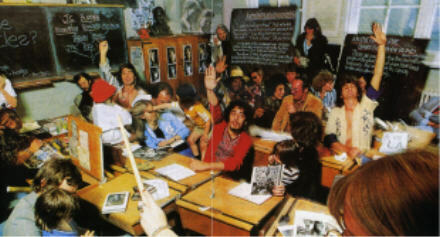 The LP being available only in either a plain white or plain black sleeve along with claims by their management that they were the next Beatles didn’t help sales. 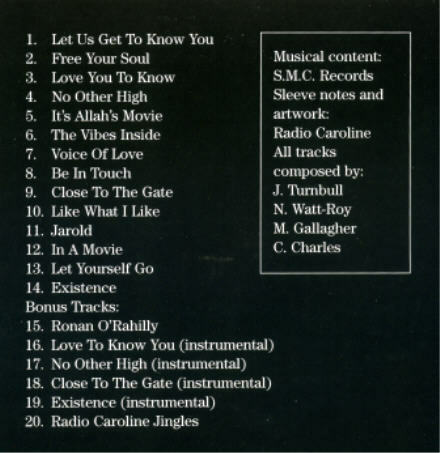 The Loving Awareness Band were managed by Ronan O’Rahilly which meant their music was plugged constantly on Radio Caroline. Extracts of their music still appears within Caroline jingles to this day. Reach out and grab it ! From the days of “Peace” and “Love” they were roughly the lyrics to the last track on the album entitled “Existence”. Don’t you ever wonder what you’re really here for ?? « Its Splitsville for Lois and Superman!